Woodworking has been a popular pastime for centuries. Whether it’s students trying their hand at creating something new for wood shop class or hobbyists looking to fix up their home and furniture, there’s a lot that can be done and so many different options. One thing that’s great to have on-hand when working with wood is wood tape, and there are different types intended for different uses, depending on what you want to create or repair. So What is the best type of Wood Tape? One of the best types of tapes available, which can be great for home repairs and redoing damaged furniture, is wood veneer banding tape. This tape looks like wood and has a natural wood grain, available in different styles such as oak or dark walnut, and it’s backed with a strong, sticky adhesive that binds to wood surfaces. Banding tape is especially useful for anyone who wants to conceal the edges of cheaper wood like plywood, and can also be applied to pressboard to make it look more like wood. Available both online and at hardware stores throughout North America, this tape is a must-have in any toolbox. Gorilla Tough & Clear Mounting Tape is meant for holding wood together for a long period of time, and it’s most commonly used for the mounting of heavy wooden photo frames to walls without the use of hooks. Mounting tape is an excellent adhesive that can hold up to fifteen pounds of weight, it’s weatherproof, and it’s totally clear and doesn’t yellow over time. This is also a double-sided tape, giving it even more holding power between pieces of wood. Keep in mind though that this tape is designed to be long-lasting, and it will damage some other surfaces like wallpaper and polyurethane. 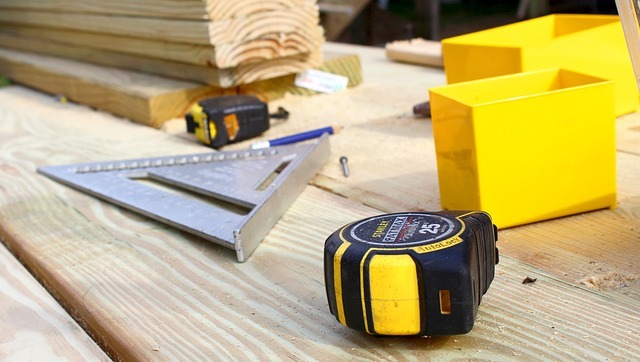 There are also many other brands available besides Gorilla Brand, and if you’re shopping locally, your hardware store may be able to recommend the best type for the kind of project you’re doing. Mounting tape comes on large rolls usually (sometimes small foam pads), and it’s also available in other colors such as beige and brown. It’s also a great choice for crafts and outdoor decorating, and a popular tape used on traditional birch log reindeer at Christmas because of its weatherproof nature. Where to buy Wood Tape? Websites like Amazon.com also carry a huge variety of vinyl tapes to choose from. Vinyl wood tapes were very trendy in smaller homes of the 1970’s as a handy woodworking tool, but they started to fade out of use in the late 1980’s because it was thought of as tacky. tapes can also be applied to other surfaces and are often seen used for interior decorating in boats, trailers, kitchenettes and apartments. These tapes are intended for long-term usage, and they can be easily removed later on. Vinyl tape also provides a waterproof finish. tape has been properly cared for). If you notice your vinyl tape is peeling, it can be replaced with new tape. When applying tape to wood, always make sure the wood is completely dry. Never put tape over a wooden surface that’s damp or that has food stuck to it, otherwise it might become moldy and ruin your project. As well, when buying wood that you plan to put tape over, make sure to buy either finished wood, or unfinished wood from a reputable source. can spread to the rest of your home and furniture if brought indoors. When choosing a tape with a realistic wood grain, choose a color that matches the wood you’re applying it to. For example, if you have kitchen cupboards made of maple and you wish to use veneer banding tape on them, look online for specific maple veneer tape, or visit your local hardware store and request the tape that you’re hoping to find.